An accomplished English actor and proficient producer, Jason Isaacs is best known for his role as Lucius Malfoy in The Harry Potter movie franchise. The acclaimed actor, who actually studied Law at the Bristol University, never envisaged himself as a stakeholder in the entertainment industry; rather, he was set to follow in the path of his brothers who have established careers in conventional fields like medicine, law and accounting. During his university education, destiny came calling and Jason was lured to his school’s dramatic society where he finally came to the conclusion that his destiny does not lie at the bar. Thankfully, he followed his passion and has since gone on to become a successful actor. Here’s everything you need to know about Jason Isaacs. 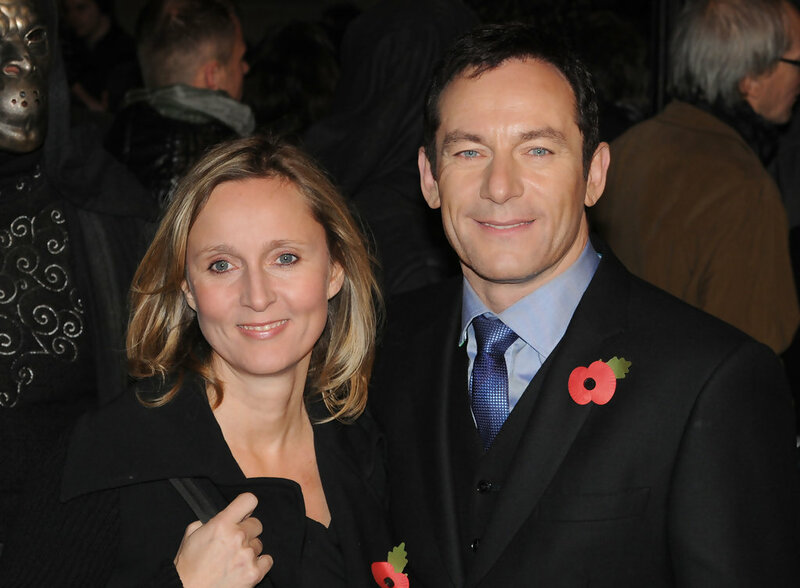 Jason Isaacs was born on the 6th of June 1963 in Liverpool, England to Eric Isaacs and Sheila Nathan. The young Jason spent his formative years in a “closely knit” Jewish community of Liverpudlians along with three brothers – two older and one younger brother. He received his early education at King David High School, a Jewish school in Liverpool. Twice every week, the upcoming actor attended the local synagogue’s youth club where he studied the Hebrew language and the basics of Judaism. Perhaps that may be the reason he stated that Judaism has a very high impact in his life. Jason also attended The Haberdashers’ Aske’s Boys’ School, in Elstree, Hertsmere, when his family relocated to Hertfordshire after he turned 11. Jason’s brothers grew up to take on very different but conventional professions – one graduated as a lawyer, another as a doctor and the third one became an accountant. In a bid to follow in their footsteps, the young Jason enrolled with Bristol University where he studied Law from 1982 to 1985. Despite this, he had an interest in entertainment, leading Jason to eventually join the drama society where he participated in more than 30 plays. Besides this, every summer, he was at Edinburgh Festival Fringe, performing with either Bristol University or National Student Theatre Company. His artistic performances during his years in the university informed his decision to join Central School of Speech and Drama where he honed his creative skills from 1985 to 1988. Throughout his career, Jason Isaacs has been regarded as a prolific artist. He has featured in several television shows and movies, including appearing in the iconic Harry Potter film series and landing several lead roles on television shows such as Awake and Star Trek: Discovery. Jason has also appeared in The Tall Guy, Event Horizon, Divorcing Jack, Armageddon, The Patriot, Black Hawk Down, Peter Pan, Dragonheart, The Death of Stalin, London Fields, Captial City, Brotherhood, The OA, and Schindler’s List, to mention a few. He has also lent his voice to animated films and TV Shows as a voice artist such as Star Wars Rebels, Avatar, The Last Airbender, Batman: Under The Red Hood. He has served as a producer for several movies as well. It is immediately obvious that Jason Isaacs is a one-woman kind of man because from 1988 till date, he has been married to the only love of his life – Emma Hewitt. His wife earns a living as a BBC documentary filmmaker. The duo met at the Central School of Speech and Drama and they have been together ever since, for over three decades. Their union has produced two daughters – Lily Isaacs who was born on the 23rd of March 2002. Their second daughter was born in August 2005 and named Ruby by her older sister. Throughout their marriage, the pair have managed to keep a low profile and there are never any rumours of divorce or infidelity plaguing their union. Jason Isaacs has been active in the entertainment industry since 1988 and in that time, the celebrated actor has amassed a total net worth of $12 million with the potential to grow in the future, considering he is still very active in the entertainment industry. Over the years, he has appeared in several notable roles in the films, TV series, plays as well as lending his voice to several animated movies. He has won several prestigious awards as well as a few notable nominations for his efforts; his net worth serves as a reflection of this. As a result, it’s not hard to fathom how he amassed such an impressive net worth over the years.